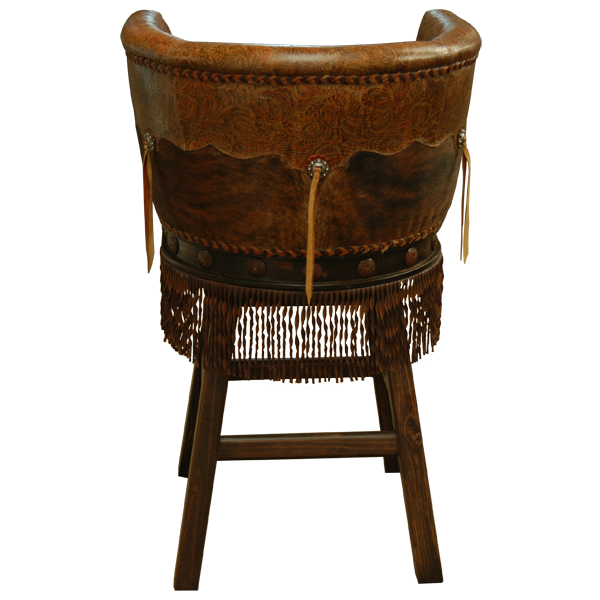 This handcrafted bar stool reflects classic Western values such as creativity, durability, and straightforth honesty in construction. 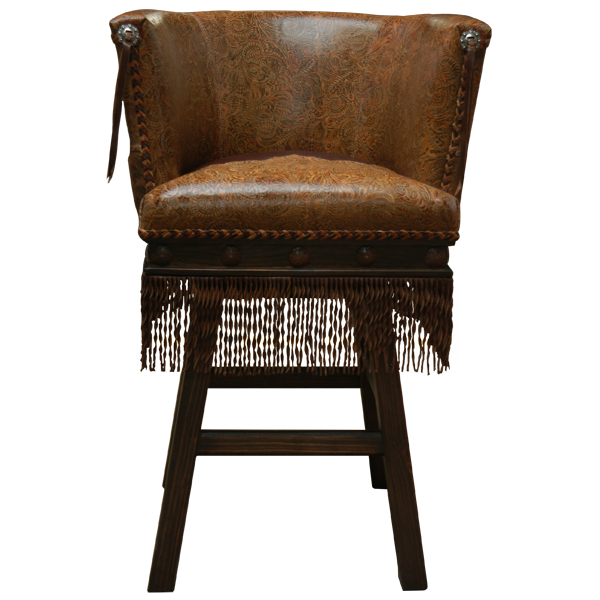 The seat and inside seat back of this handcrafted bar stool are upholstered with rich dark natural full grain leather, and the reverse seat back is upholstered in contrasting dark brown full grain leather and genuine cowhide. 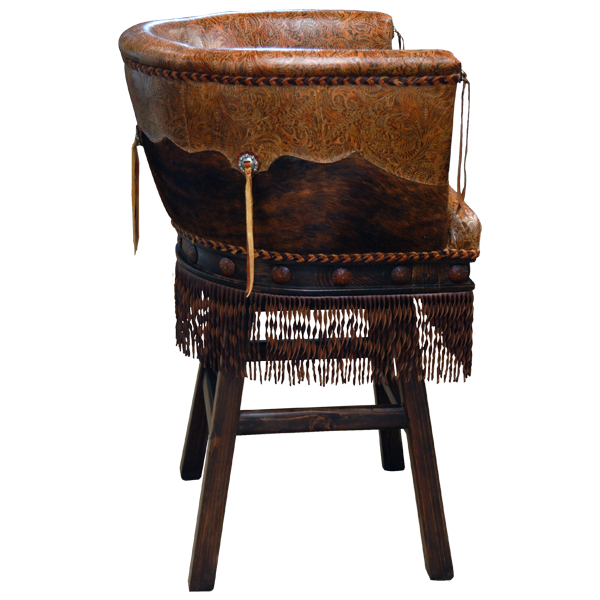 The Western influence is further reflected in the dramatic long dark full grain leather fringe hand tacked around all sides of the base. 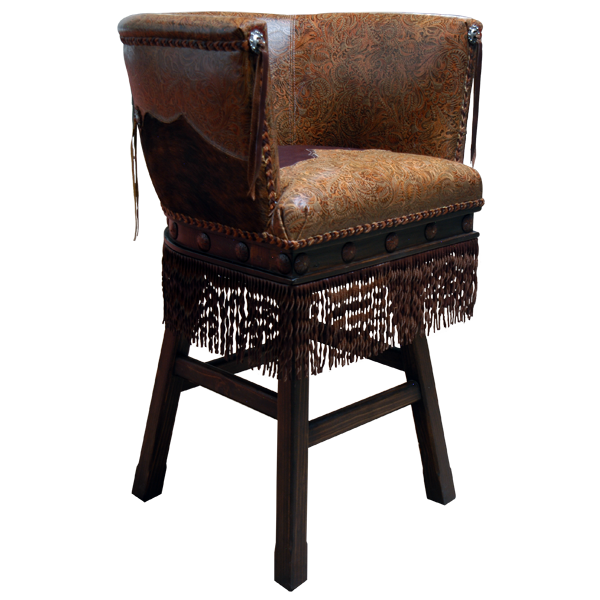 A full grain leather hand braid is attached to and goes around the entire main body junction of the bar stool. The bar stool is further decorated with hand forged iron conchos around its entire lower body. Also, hand forged copper slotted conchos with a latigo made of full grain leather are incorporated into the sides of the bar stool, and one in each hand rest. The bar stool is made with the best quality wood available and is durable and comfortable. The bar stool swivels 180° and is 100% customizable.